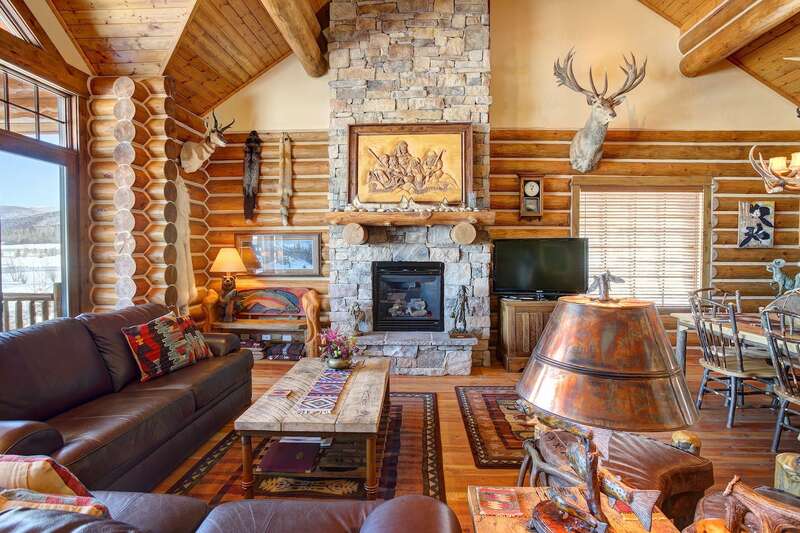 With 3 fireplaces (1 in the living room and the other 2 in each king bedroom) located throughout the cabin, keeping warm won’t be a problem in this cabin! 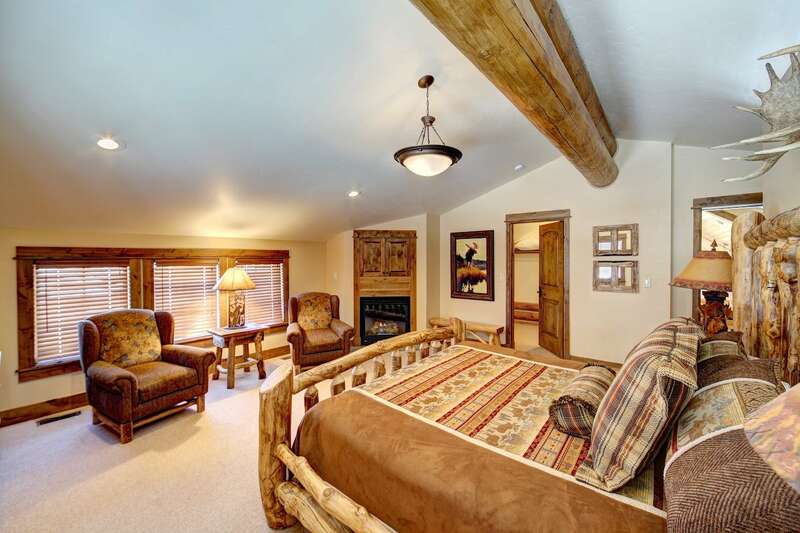 Not to take away from the breathtaking views and crisp, fresh air that one can enjoy on the balcony. 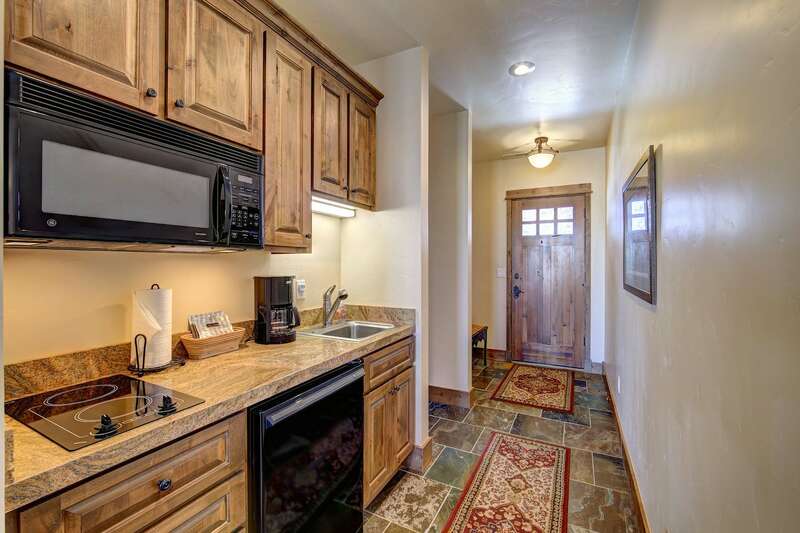 Even more outdoor adventures await the guest as hiking trails are located right outside of the cabin. 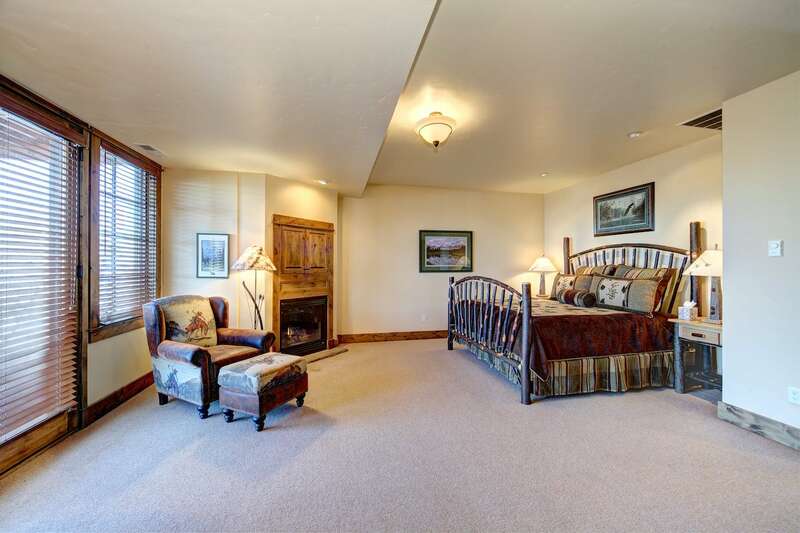 There are two bedrooms located on the main level. 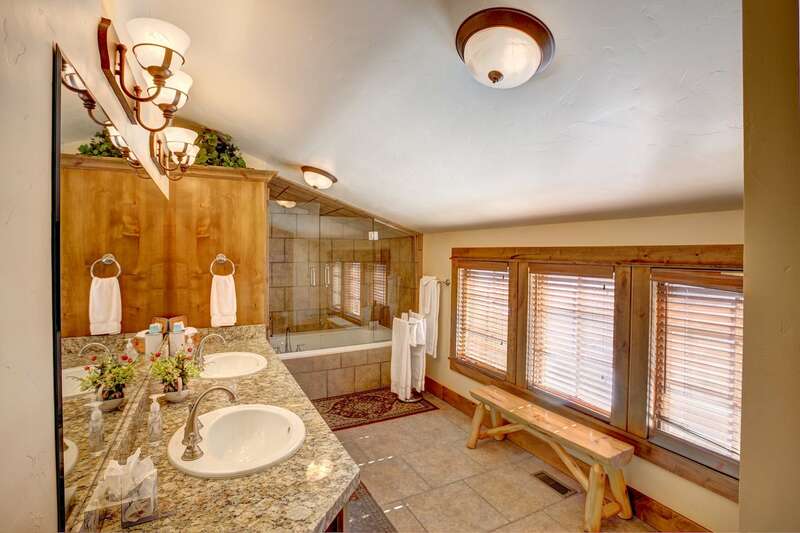 Both bedrooms have a queen bed and a shower/tub. 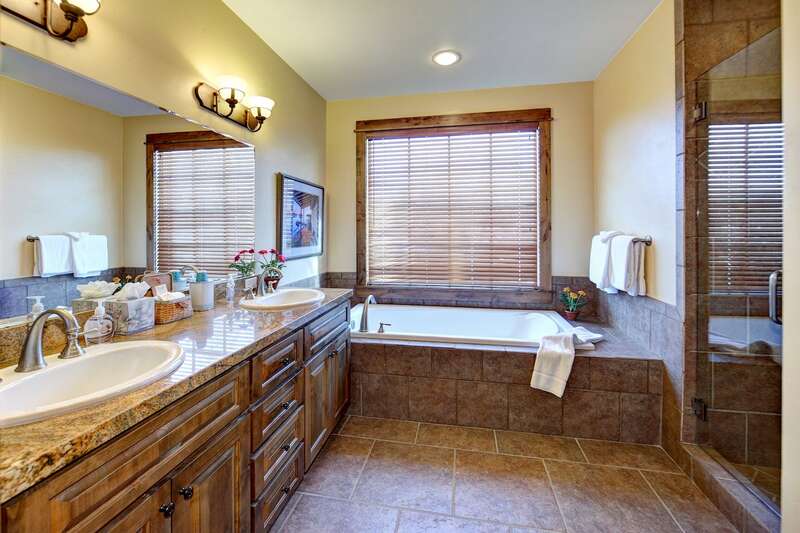 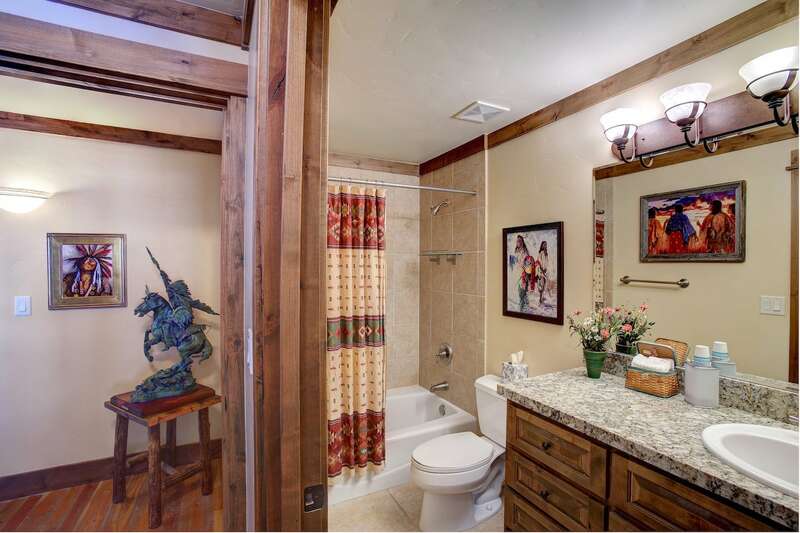 The upper level has a king bed with a large jetted tub/shower. 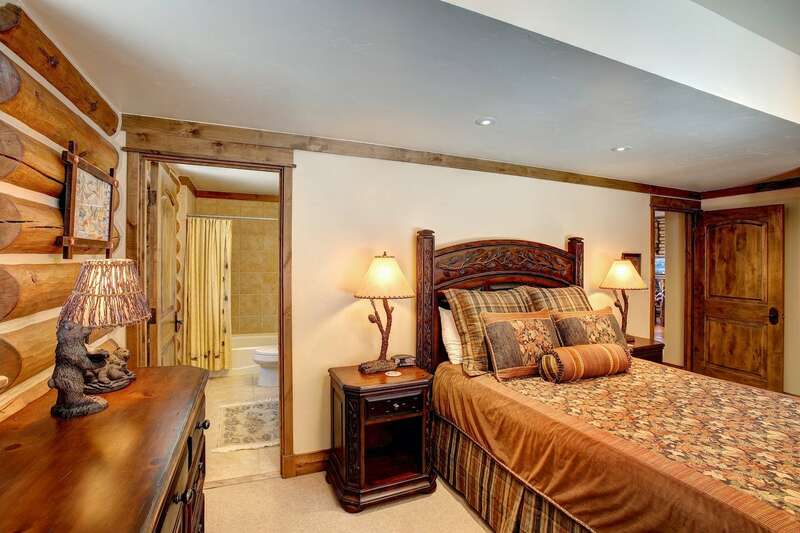 The fourth bedroom is located on the lower level and has a king bed, large jetted tub and a glass walk in shower and entrance onto the patio. 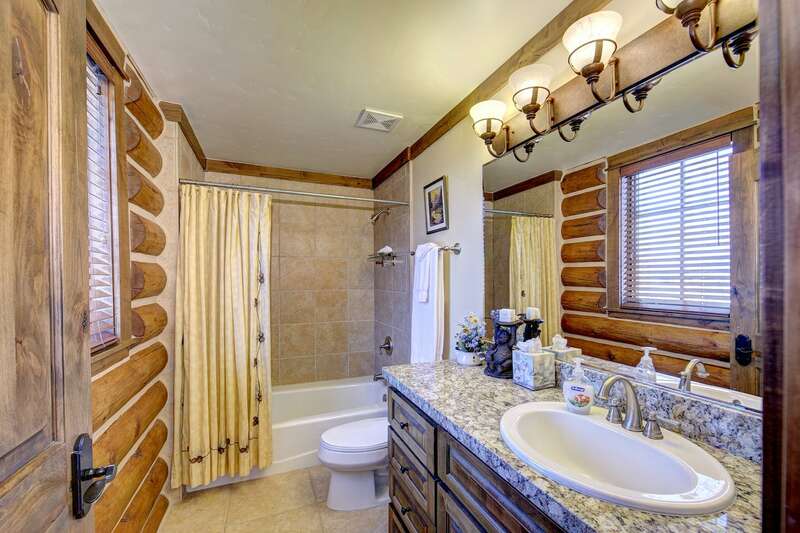 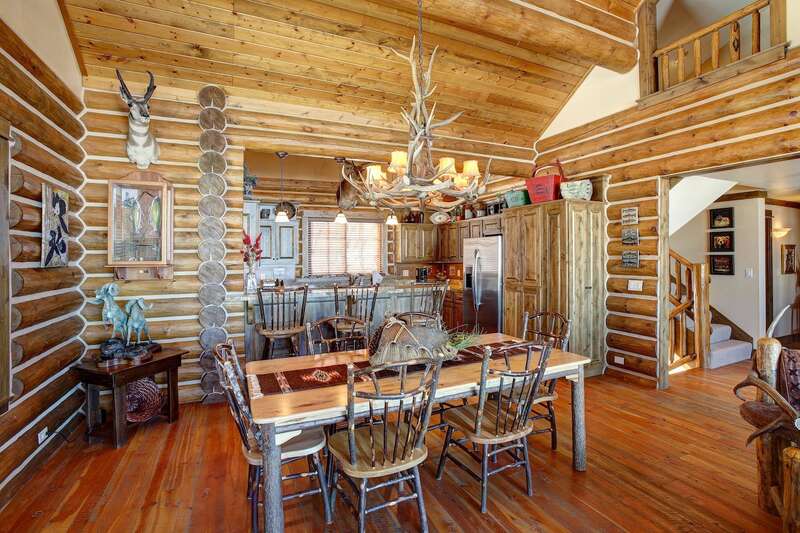 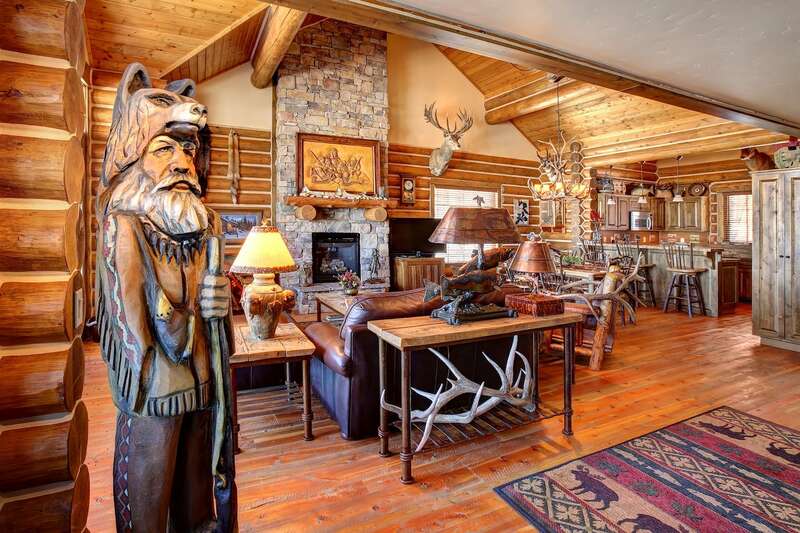 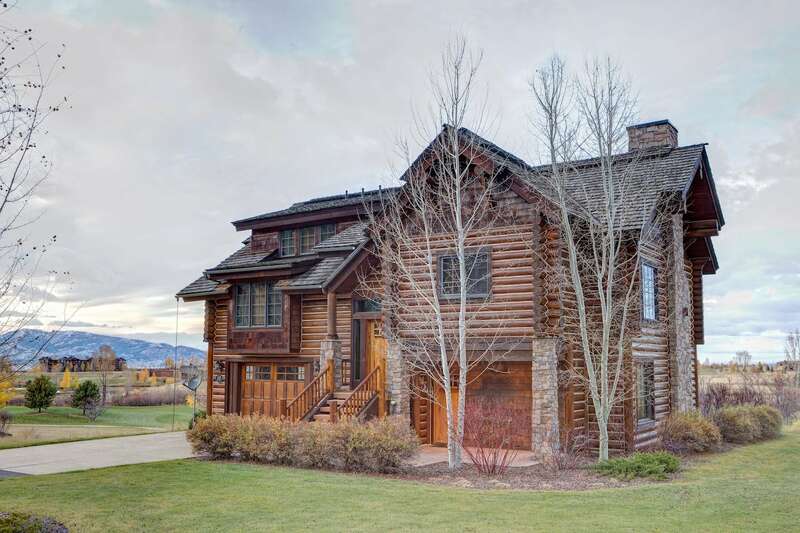 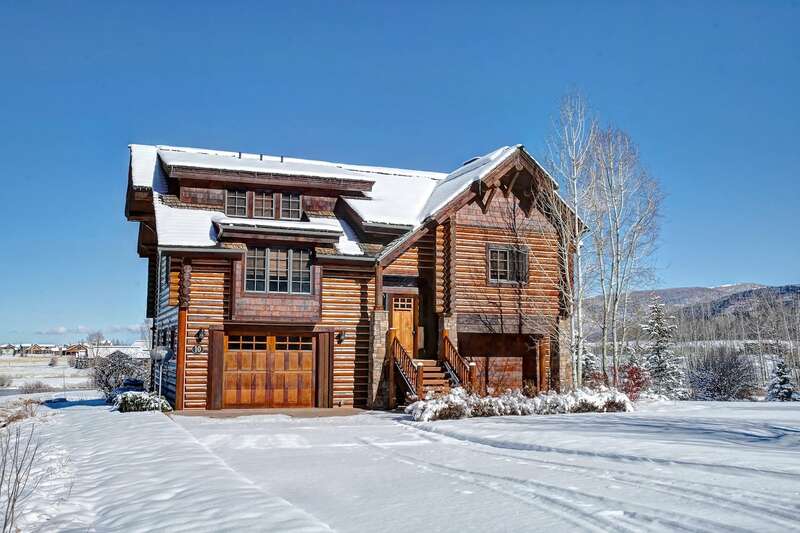 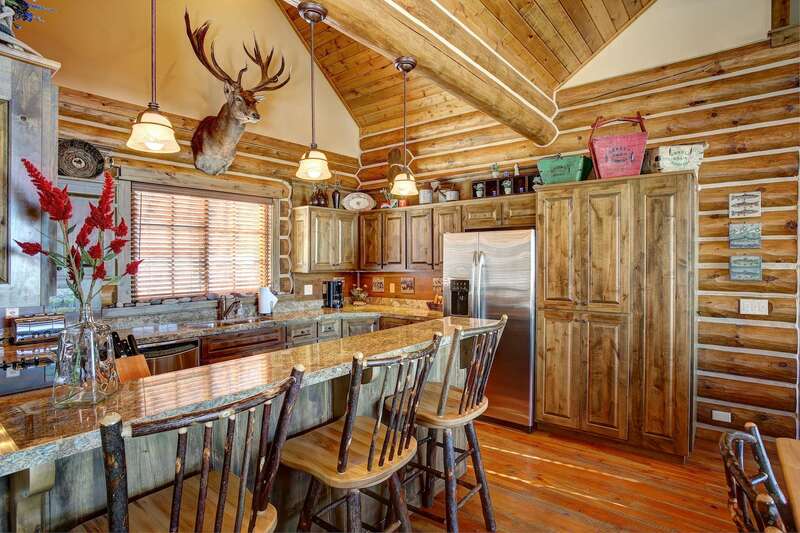 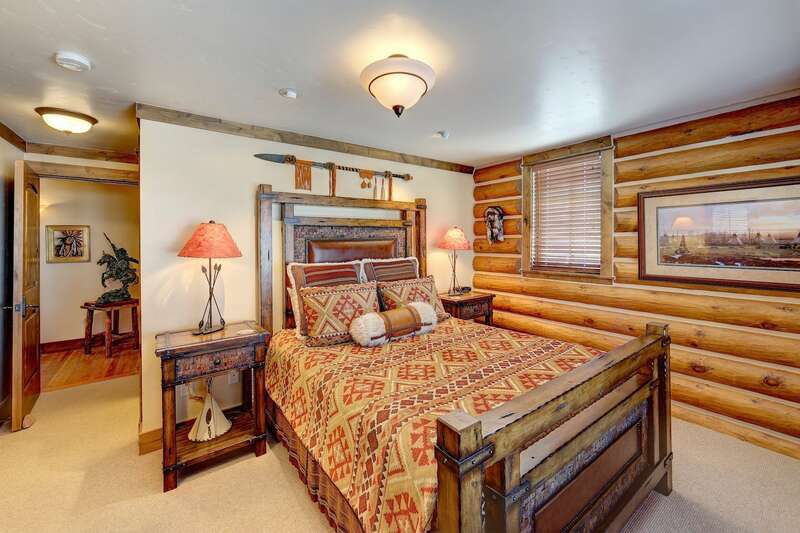 Custom luxury cabin on golf course with three fireplaces, forest views and resort amenities.